I actually signed up to do an online Bible Study with Proverbs 31 Ministries & the book we're looking at is "Let it Go" by Karen Ehman. 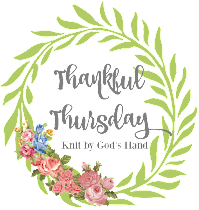 But every Thursday will be a blog hop so we can jump around (not literally... if you dont want to... if you do, feel free) & touch on a few questions that we can pick from off of our awesome leader's website. I'm not sure how I even fell into this book... its not a topic that I feel like I need to study up on. The book says on the front "how to stop running the show & start walking in faith"
& its funny because I never really thought I was a 'control' person. but I guess that voice inside that is saying "Please dont go to White Castle" is a part of control? Where I found out I may have an issue with control came in the first chapter. One of the questions was "Let's be truthful - I like to get my own way"... I answered "Always" & wrote to the side "Who doesnt?" ...come on... we all know its true... right? & I didnt like the category that put me in!!! I didnt like it so much, I'm not even going to say what it said about me! For the record, there was one worse that was with the total of 41-50 Control Freak Alert!!! This is where the bells go off, because know what I did? I wanted to go back & change my answers to shave off 3 points. That's when it hit me & I realized that maybe I do have an issue with control. I did an online Bible study with Beth Moore and LOVED it. Certainly is a timely message for this control freak! Hi Rebecca! I was excited about doing this study and the book Let.It.Go. because I knew I had a problem with control. However, I was surprised as well by my quotient - a 38!! I did NOT expect it to be so high. I did NOT think I had that big of a control issue. Apparently I do. I'm looking forward to all we will learn over the next few weeks as well! Sounds like a wonderful Bible study and I can't wait to hear more about it as you go along. I'm definitely a big control freak...no question about it. So, letting go and letting God is something I work toward every day. Praying God will show you all you need to learn. Loved this! Glad to be in this study and I am quite sure God has a lot to teach me through it! This is a great message for me! Thanks for sharing.